Luciano Bacheta is back in action! The 22-year-old Brit will race in the AutoGP World Series in 2013 after having joined Zele Racing Thursday. 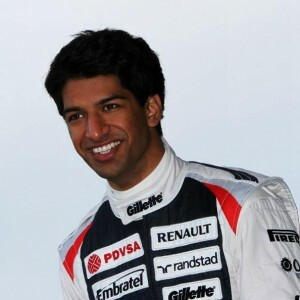 Winning the 2012 Formula Two championship, Bacheta earned himself a test drive with Williams F1, where he managed to show his outstanding talent. In order to gain more top-level racing experience for a future in Formula One, he has now teamed up with Zele Racing, a well-established Austrian racing team, to compete in AutoGP. “I am very happy to be racing for Zele in 2013 and I hope I can help the team challenge for success. I see this year with Zele Racing as the start of a plan to be competitive year in, year out in a progression towards the ultimate goal of Formula 1”, Bacheta said. Zele Racing, which was founded by former motorbike racer Hermann Zele and his son Michael in 2001, is looking back on a successful history in motor racing including the World Series by Nissan, the Superfund Euro3000, the LeMans Series and AutoGP. “It is great to have the reigning F2 champion on board. Luciano is a highlytalented driver, who has already proven his skill on several occasions. I am certain, we are ahead of a good season,” team owner Michael Zele has expressed his delight. Auto GP is managed and promoted by Coloni Motorsport and will be running eight rounds, featuring two races every race weekend at each venue. The season starts on March 24th in Monza, Italy, and finishes on October 6th in Brno, Czech Republic. “Auto GP is establishing itself as an extremely exciting series, and for Luciano this represents a good step up from Formula 2. With hopefully another successful season, he will be one step closer to realising the dream of Formula 1,”, Dan Chapman, senior partner of Full Contact who manage Luciano, said.